Now that I’m in my late thirties, taking care of myself has become so much more of a priority. I had decided a couple of months ago that I needed to make some serious changes to keep myself healthy from the inside out. And I mean healthy looking and feeling and from the inside out. At the first of the year, I decided that 2018 was the year to feel my best no matter what it took. I started with eliminating sugar. I’m not saying that I don’t indulge in a special occasion, but it is rare, and I am really trying to stick to this goal for 2018. I also have a goal to get 8,000 – 10,000 steps per day and I count those using my fitness tracker. If I am close to my goal by the end of the day, it helps to motivate me to go for a walk. It has made all the difference. I make sure that I get at least 8 hours of sleep. Having my fitness tracker on also helps to let me know how much sleep I got the night before. I have been trying to get to bed at a decent hour (and not just looking at my phone) so I can hit that goal. Plus, I feel so much better the next day. Water is another great goal I have added. I make sure to drink at least a half of a gallon of water each day (64oz). It is a lot of water, but the benefits are so great. It flushes out my body and also makes my skin look so much better and not dehydrated. 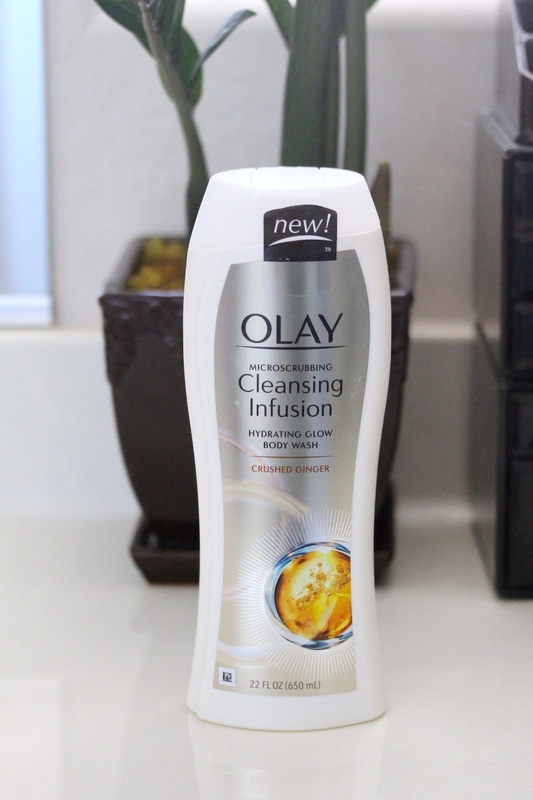 The cherry on top for me has been adding Olay Cleansing Infusions to my skincare routine. It happens to be the first cleansing solution for both face AND body. With all these goals, I have the biggest desire to have glowing skin. I have been dealing with rough, dry and cracking skin since I can remember. When I started my goals in 2018, a lot of them were based on looking younger and having skin that is envied. 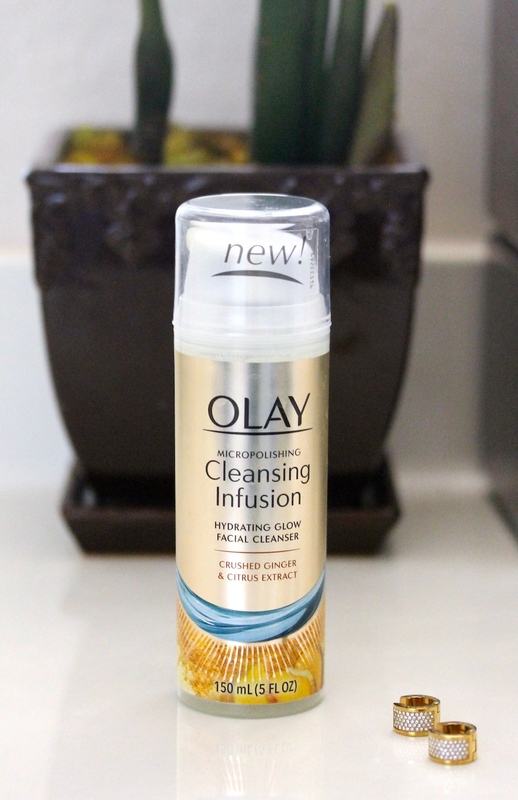 These new Olay cleansers are a game changer for skin. They draw out impurities and add in hydration for natural glowing skin. 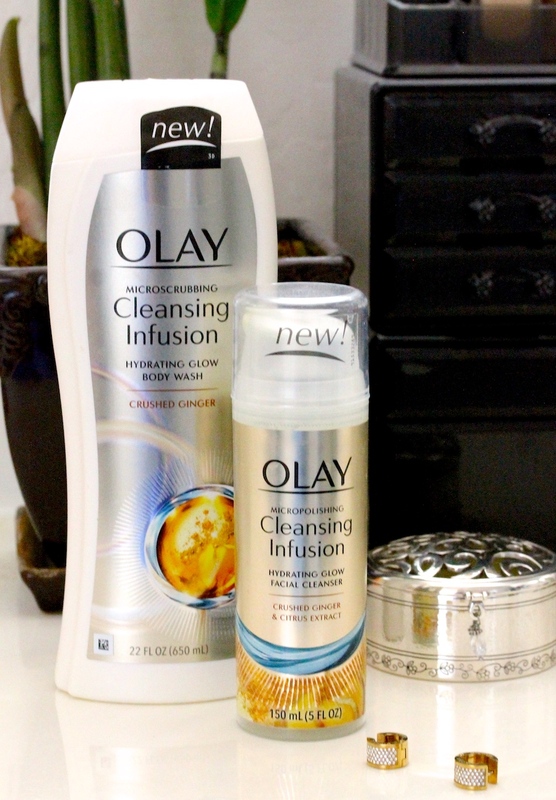 Olay has developed two facial cleansers and two body washes. The first set of facial cleanser and body wash cleansing infusions are with Crushed Ginger and Citrus Extracts. These cleansers contain exfoliators that break down as you wash that creates a micropolishing effect for a smooth surface. Leaves you with a healthy-looking and feeling skin. The second set of facial cleanser and body wash cleansing infusions are with Deep Sea Kelp and Aloe Extract. These form an amazing lather with an awesome scent. I tried the Crushed Ginger Cleansing Infusion and I couldn’t believe how good my skin felt after just one use. I didn’t feel like I had to slather my skin with lotion immediately out of the shower. It felt better already. Stay tuned, I will be showing off my glowing skin next week with the #tilttest challenge. Follow me on social media so you don’t miss it. Can you tell a difference? Let me know on next week’s post! 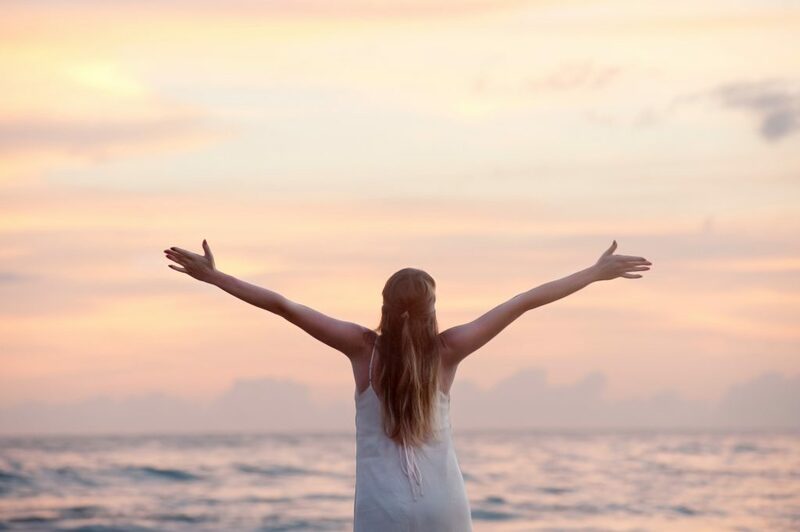 To start your own #GlowUp, shop Olay Cleansing Infusions from Albertson’s Stores here. This is a sponsored post from Olay. All opinions are my own. Thankyou for sharing such a beautiful information with us..